Danielle Rees is a skier, mountain biker and co-founder of Coalition Snow, a women's ski and snowboard gear company. What is your professional goal for 2018? To inspire women to build confidence in themselves through skiing and snowboarding. 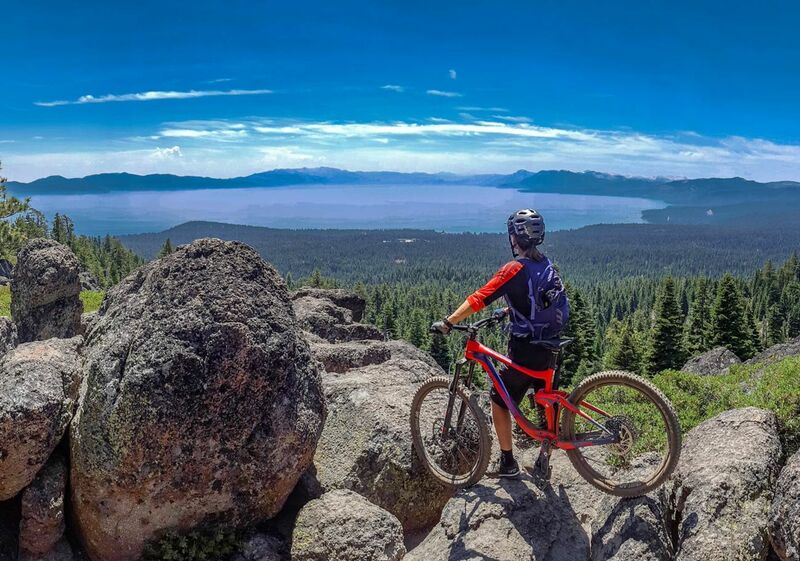 The freedom of exploring new trails, the pure joy of riding bikes and being present in the moment. It is the closest feeling I get to skiing in the summer. I am passionate about building sisterhood in the outdoor industry. 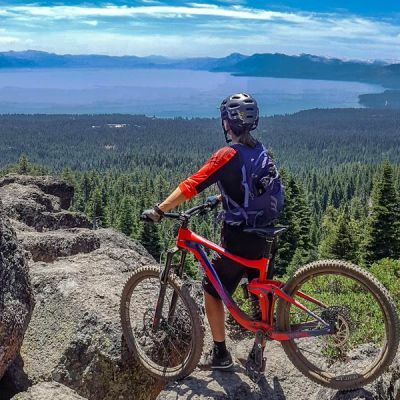 I love that Liv shares the same core beliefs in biking that inspired us to create Coalition Snow ... building on women's strengths and giving female athletes the tools they need to achieve their goals in the mountains. Chapstick. My lips get super dry in the mountains. I dropped my first cliff on skis at 40... This year as a newbie at downhill riding I am excited to learn how to jump on my bike. What is your favorite place to travel? Skiing the French Alps in Chamonix! Egg and cheese breakfast sandwiches before a long ride and a veggie burrito and cold beer after! I love getting out on the trail with one of my girlfriends and #myinstagramhusband Zach Tolby. How do you spend your time off the bike? I love skiing in winter and enjoy trail running, swimming, and stand up paddle boarding on Lake Tahoe in the warmer months. At the core of my mountain lifestyle are yoga and pilates. As a female founder and investor I hope to inspire women to lead authentic lives by owning their power, trusting their intuition, and building sisterhood.